Inspired by the large commercial aircraft in The Museum of Flight's new Aviation Pavilion, the Jet Engine Keychain is a metal and enamel keychain. 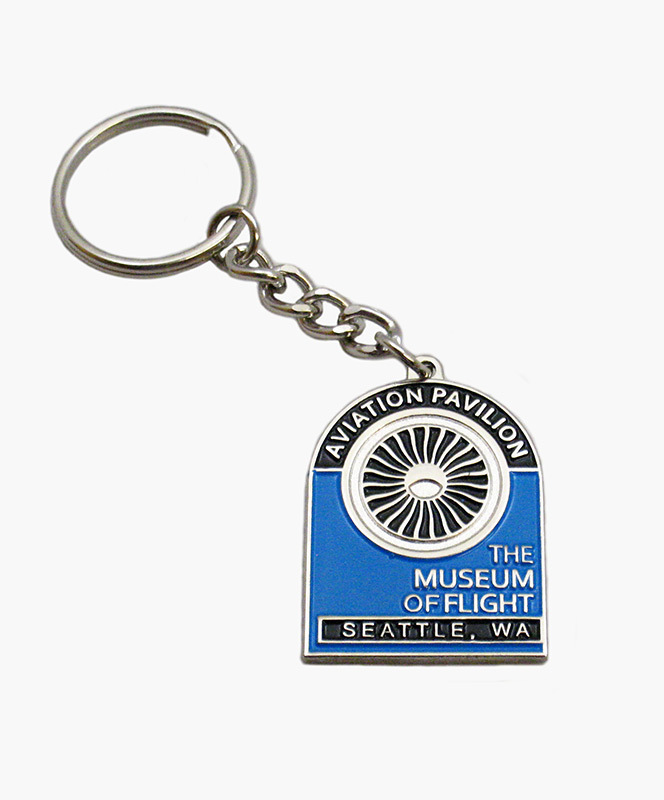 The keychain features a close up image of a jet engine fan with Aviation Pavilion, The Museum of Flight Seattle, WA above and below. The keychain measures approximately 1.25"x 1.5" (4" including the ring and chain). For more information on the new Aviation Pavilion, please visit The Museum of Flight's website, http://www.museumofflight.org/explore-the-museum/museum-galleries/Aviation-Pavilion.